The CS Cycle Short has been developed over a number of years to be leading the custom market for comfort and design. Our short now features our exclusive CS Contour Fabric. This fabric was developed specifically for our needs and features a revolutionary yarn layup that promotes increased breathability, compression and comfort. - CS CONTOUR LYCRA exclusive to CS, imported directly from Italy. - 83% Polyester 17% Spandex fabric blend, 360g/y fabric weight. - 3 anatomic panel options. 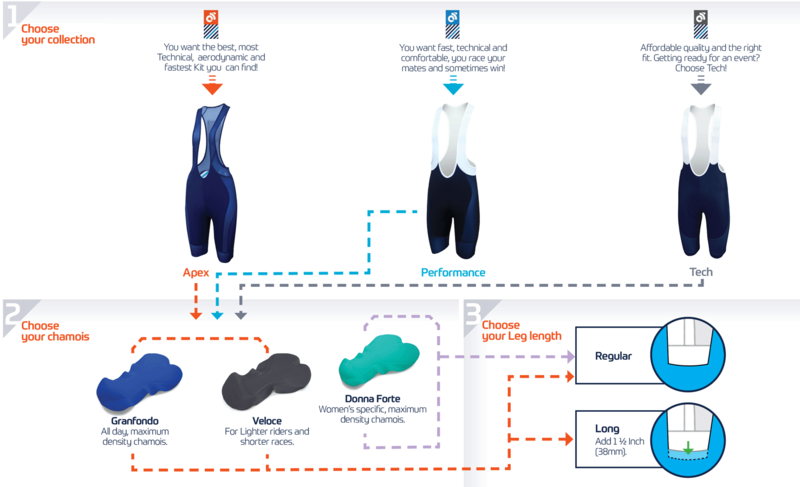 - Male and Female Specific sizing and chamois.